We had the opportunity to visit Veselin Stoyanov, MD, and David Herndon, DO, at their office in New Port Richey. 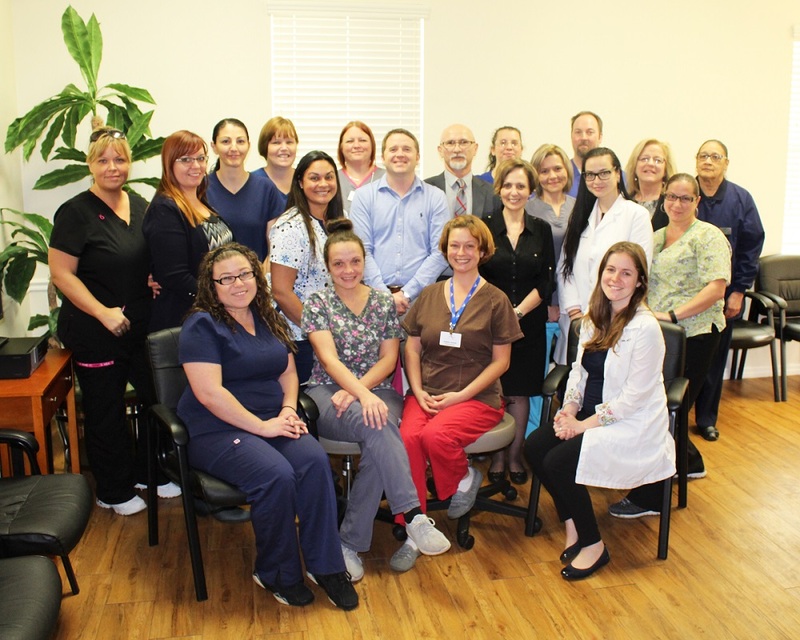 A dynamic and busy office with 28 employees, they offer everything from bone densities, echo’s, and chiropractic services to wound care. When we spoke with Dawn Cramasta, the office manager, she informed us how they have made sure all co-workers are able to get along despite being a larger office. In the event of a disagreement or misunderstanding, a very small group sits down and discusses it out like adults. At any point, if Dawn feels she might see things one way, she calls upon Shannon Cook, the back-office manager, who might see things a different way to make sure they have every opportunity for understanding. In addition to this, Dr. Stoyanov and Dr. Herndon have made it clear they have an open-door policy for all staff. As Dr. Herndon says, "Someone might feel uncomfortable discussing with someone else, but more comfortable coming to me with it. If I can help them out in any way I will." Dawn told us one of the things she respects most about Dr. Stoyanov and Dr. Herndon is that they have never raised their voices at anyone. Nor has the staff ever heard them say a mean word to anyone. One thing that sparked our interest in this visit was the patient feedback we received from Cindy Luciano’s service. While discussing Cindy's beautiful letters, all written by patients appreciating her service, Dawn said, "Cindy actually knows most the patients by name. Cindy is never one to say 'That's not my job.' She will do everything she can to follow through with whatever she can." Dr. Herndon holds absolute confidence in his staff as they make sure they pull their own weight and ensure everything is taken care of. He went out of his way to show us a flow sheet that his office put together in which every doctor has his own color form. On it, they list everything they need and all critical information. Dr. Herndon was full of praises for Kieth Katherina, who designed a way to pre-format the sheet with the patient info to be printed at the top, saving the office thousands of hours of work over the years. Dr. Herndon also praised Shannon Cook for her delegating skills. The staff communicates and listens to each other which helps to run the office as efficiently as possible. 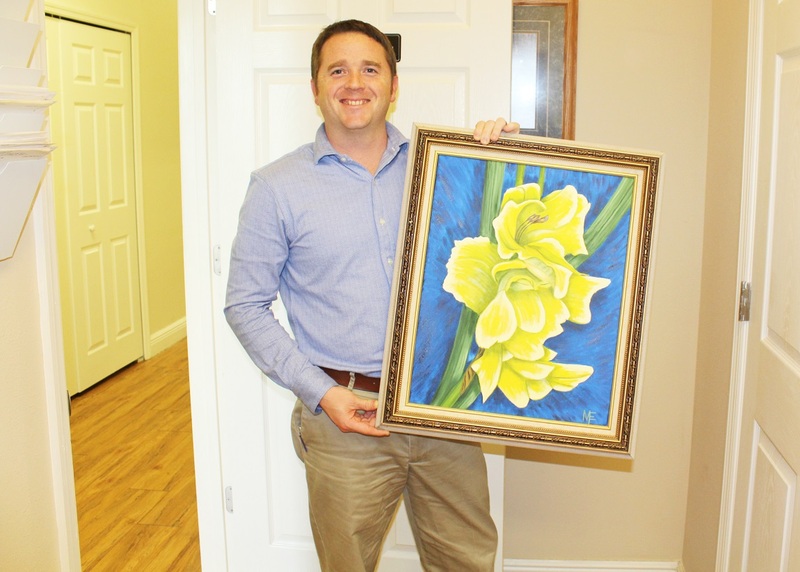 Dr. Herndon has a beautiful painting in his office that was given to him by one of his patients. She made sure to tell her family she wanted him to have this painting when she was dying from cancer. He holds it proudly in the picture above. Dr. Stoyanov, who has been with the company for 11 years, says his greatest reward in being a doctor is when "You realize you are an eye-opener and greatly impacted someone's life for the best. You have to love what you do. It has to be an enjoyment and fun." It is clear he is a humble man in his mannerisms and his words. When asked about how he connects with his patients he told us, "I always tell people I was not born a physician, I became a physician, I was born human. Patients look to see an approachable human in front of them. If you are like a wall, they will be uncomfortable and not come back. You cannot lose connection." He is proudest that his employees can come to work relaxed knowing he will never do anything to try to add to their stress. "They already deal with enough stress every day, especially when short staffed and picking up extra work.". He is truly grateful for everything each one of them does. With over 2300 patients, word-of-mouth has greatly helped them to grow so fast. Many patients are from local communities and have been told by other patients about them.. This rather large office has optimized their processes and approaches to best suit their workflow. This office is a great example that you can be both professional and efficient while remaining open and understanding with one another.